Dc motor 2h.p. , pneumatic web aligner. TANAC Established in 1933, are the originators of Winding Machines. Today as a global company, TANAC develops & builds a variety of machines includes, winders, soldering & testing stations, Auto Inspection equipments & fully automated line solutions as per customer requirements for the automotive, tele-communications, consumer electronics, lighting & medical applications. 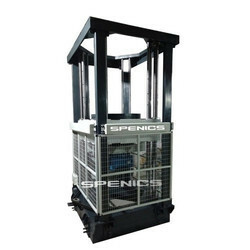 The machine is designed to wind full length paper on CB or CT bushing core. Machines are available for various KV ratings. The machine is provided with microprocessor based controller. 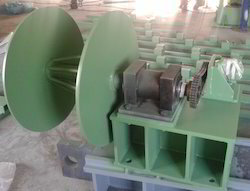 This machine has been manufactured in various ratings up to 500KV. HIGHER KV RATING MACHINES CAB BE DESIGNED AND MADE. Model windica is an ideal choice for medium and low output tape-stretching lines for manufacturing of pp/hdpe tapes in the form of cylindrical cross wound packages on steel/aluminum core tubes for the mentioned specifications for use on circular weaving machines. Iraj Technologies, Pune is the manufacturer of PTFE Tape Automatic Winding Machine having the application in the winding of Plumbing Pipes, Pharmaceutical components as well as in Chemical Components.